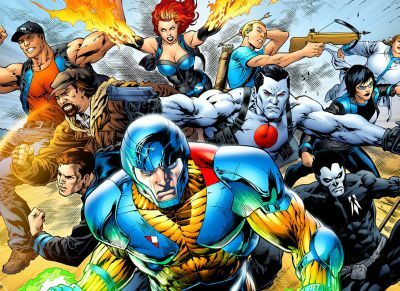 A brand new cinematic universe is on the horizon as the world of Valiant Entertainment is making its way to the big screen. Iron Man 3 and Looper co-producers DMG Entertainment have announced a new deal with Valiant Entertainment to bring their stable of characters to life across all types of media including film and television. You can read the full press release below and take a look at our previously-published breakdown of the top characters at Valiant by clicking here. Valiant Entertainment – the award-winning comic book publisher with a library of more than 2,000 characters, including X-O Manowar, Bloodshot, Harbinger, Shadowman, Archer & Armstrong, and more – and DMG Entertainment, the Beijing-based leader in global entertainment, today announced a new partnership to span motion pictures, television, publishing, and licensing that will culminate in the big screen debut of Valiant’s universe of characters in theaters around the world. Celebrating its 25th anniversary in 2015, Valiant is one of the most successful comic book publishing companies in the history of the medium with more than 81 million comics sold and a library of more than 2,000 distinct characters. Established by a brain trust of legendary comics creators – including former Marvel Editor-in-Chief Jim Shooter; seminal “Iron Man” writer and artist, Bob Layton; and the visionary writer and illustrator of Wolverine: Weapon X, Barry Windsor-Smith – Valiant’s heroes and villains inhabit the largest independently owned superhero universe anywhere in comics.